Here you will find information about the Society and its objectives, including how to apply for membership and the benefits of being a member. 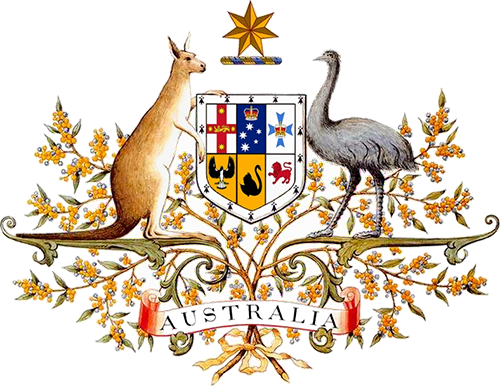 The site contains extensive information on heraldic practices and heraldic art in Australia as well as heraldic law, and guidance on designing arms and seeking a formal grant of arms. Please take some time to explore our site, and become familiar with the enduring beauty of the arts and sciences of heraldry as practised in contemporary Australia. Don’t forget to bookmark our site to make it easy to find next time. For the latest news on upcoming events, publications, lectures and dinner meetings of the Australian Heraldry Society, please join us on our Facebook Page. Our Facebook page is updated most days with interesting heraldic knowledge and images, and is the location where we announce upcoming events. All our events are also listed within our Members Circular, which is available to all members.